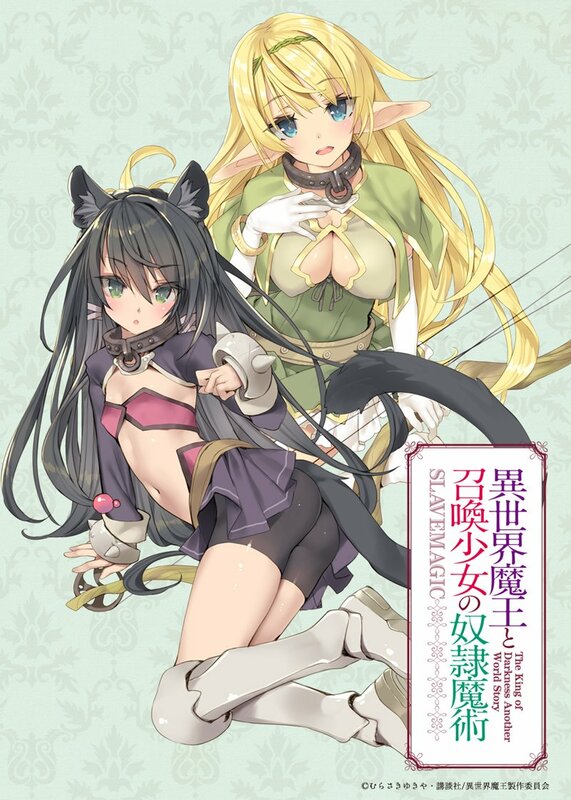 J-Novel Club Forums | IsekaiMaou/How NOT to summon a demon lord anime announced! IsekaiMaou/How NOT to summon a demon lord anime announced! Should be a good time, looking forward to more information on it! Looks good! Hope it comes out in 2018! Also, it's a shame they didn't get the official English title in that key visual. As much as I like this series... how come this got an adaptation but there's still no Mushoku Tensei anime?? Where's my Psycho Love Comedy anime??! but there's still no Mushoku Tensei anime?? Depending on how well SAO:Alicization and Shield Hero do, that may open the door to a Mushoku Tensei adaptation. The big issue though is that it's not a series well suited to 12 or even 24 episodes. Long adventure format series run a high risk of getting butchered to hell and back if the staff is crap. @aruseus493 SAO Alicization isn't suited to a 12 or 24 episode run either. I'm thinking 40 episodes minimum. @aruseus493 IMO, it could work well on a 24 episode format, adapting vols. 1 through 6, having the finale as Rudeus' party gets back to their country and everyone goes their separate ways. The Hitogami hasn't even been mentioned prior to that point so it wouldn't feel like a random plotline that didn't go anywhere, and a few glimpses of what's become of Sylphiette here and there would be enough to not make her seem as a forgotten character but also get some hype for a second season. Here's a teaser with some footage from the anime. The faces look a little strange but not overly so. I was mostly impressed with the Salamander not being CG for a one-off monster scene. Moe-blob faces & I never pictured Diablo looking like that at all. 2010 called and they want their generic dubstep soundtrack back. @G I actually watched the Anime first & that's what made me buy the books (well before the season was over too) so I got a pleasant surprise about how much better the story was rather than the disappointment everyone else got. @smashman42 - I was going to take that route with this series. I haven't started it yet due to a massive backlog I have to wade through. This way my world view isn't tainted by the LN. From the PV, I’d say the quality of this anime will be a lot better than Death March’s train wreck, so there’s that. Also will be interested to see how much the TV version will be censored. @g This can fail and Smartphone and Death March but let us just Hope that Shield Hero will be of the utmost quality there is. Again with Death March, I haven't read the LNs so there was no expectations to be let down by, so I thought it was alright. I kinda assume the LN will always be better. I mean, generally the source material always is. Rarely you get adaptions like MHA (BNHA for weebs) that come out arguably as good as the source, or weird stuff like K-On where the anime shits on the original source, but yeah that's a bit of a hen's teeth/rocking horse crap situation. Having watched the disappointment that was Smartphone, I'm hoping for better with Demon Lord, but I'm very nervous. I'm part of the crowd that thinks the Smartphone anime was okay. Like @smashman42 , I also saw the anime first and got interested from that. I personally don't think Isekai Maou will be as bad as Death March. Death March's story structure is the kind that builds up and only gets good (really good IMO) in the long run. While Isekai Maou, as far as I have seen, has a simpler episodic structure. In other words, Isekai Maou delivers its main positive points much earlier than DM, so that's why I think it won't be as bad.